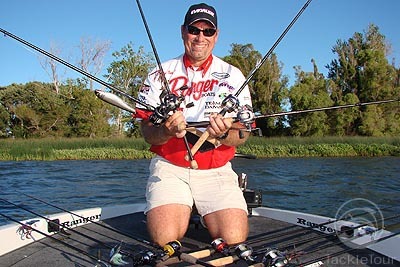 Introduction: We head over to Clear Lake with professional angler Gary Dobyns to test Gary�s new signature line of fishing rods, and get an inside scoop on a lake that Gary has won on so many times. What ensues is a rock and roll of a good time filled with talk of fishing rods, big fish, and plenty of laughs. 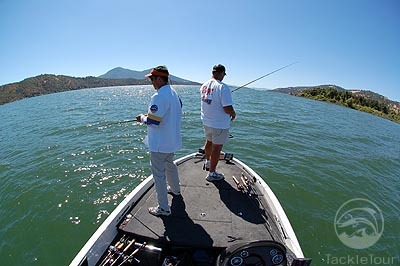 About Gary Dobyns: Gary is a well known professional angler across the US, but is most well known here in the West. 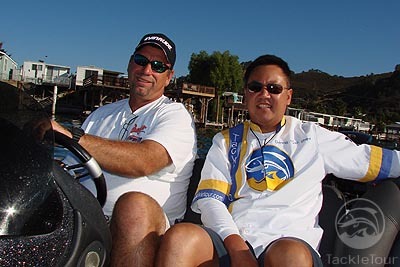 In fact, Gary Dobyns is the West's all-time leading money winner with over 25 Angler of the Year Titles and 39 fully rigged prize boats to date. Gary has competed on the biggest stages in the West resulting in wins with B.A.S.S. 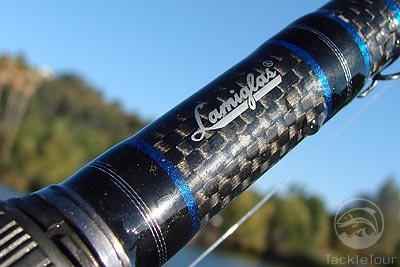 and FLW Outdoors. In addition, Gary has won more tournaments and championships on the WON Bass Tournament Trail than any other angler to date. Gary has been involved in the fishing industry for years, and has partnered up with many boat and tackle manufacturers including Ranger, Evinrude, Daiwa, Power Pro, Hummingbird, and P-Line, just to name a few. 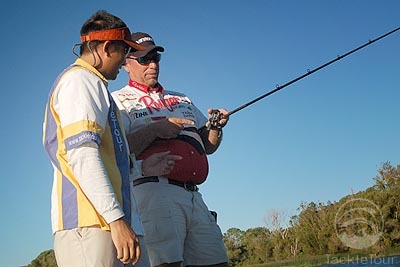 In addition Gary can often be found at events like the ISE and Fred Hall Show teaching anglers some of the secrets that have made him so successful in tournaments throughout the years. 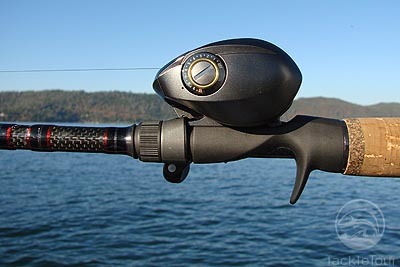 It was just a matter of time before Gary put his experience in tournament fishing into a series of rods with his own name on them, and the new Dobyns Rods makes use of the production and custom rod actions that Gary has relied on over many years, signature actions that have contributed to over $2 million in combined tournament winnings. 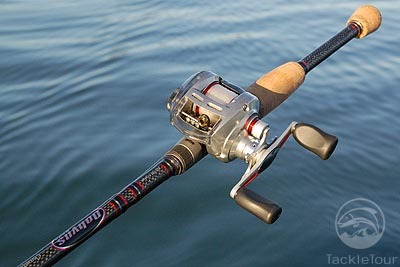 Putting the pressure on: Gary invited TackleTour up for a day on Clear Lake to see what his new rods were all about, as well as show us how he approaches the lake on any given day. Cal and I didn�t have to think too long before we decided on a day (a weekend of course, to see how Gary would contend with the added fishing pressure and heavy boat traffic). 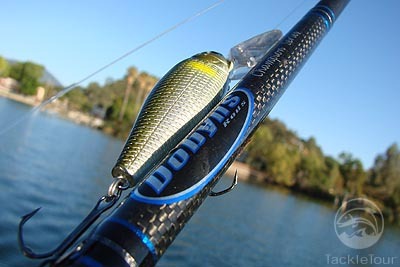 In fact there were two tournaments scheduled on the same day, and we were eager to get our hands on both the new Dobyns Rod lineup, and some of Gary�s tournament fishing knowledge. Background on Clear Lake: Clear Lake is a massive lake, and is 19 miles long and 8 miles wide. It is the largest natural lake entirely in California, and boasts the largest surface area of any lake entirely in the state as well. Located in Lake County Clear lake is fed by many streams and its sole outlet is Cache Creek. Not only is Clear Lake the largest natural lake in California but it is believed to be the oldest as well. The entire lake sits on a large stone base, and the area used to be volcanic, with the largest volcano being Mount Konocti. 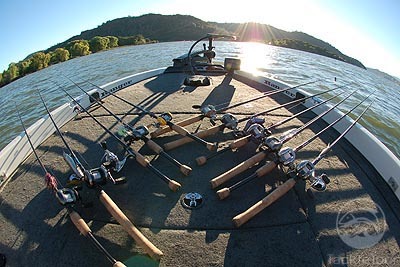 The fishery at Clear Lake offers some of the best bass fishing in the State, and the lake plays host to numerous major tournaments, some of which Gary has actually won here, even the first boat he ever won was on this very water. Many weekend and pro anglers are drawn to the lake with hopes of landing a lunker, as Clear Lake has certainly yielded its share of quality fish. Though the lake is very large in size it really isn't very deep, and has an average depth of only 8 meters, making it a great body of water to fish multiple types of lures. There are excellent facilities on Clear Lake ranging from public camping grounds to bed and breakfasts and the well established Konocti Harbor Resort and Spa. There are launches throughout the lake and boats can be rented. While most anglers come for the bass quality catfish can often be caught, mostly in the south end. Because of elevated mercury levels the authorities do recommend taking precautions before eating any of the fish on the lake. Anglers don't seem to mind as the fish that are released just keep getting bigger, and the current largemouth bass record at clear lake is 17.52lbs. Saturday, July 28th time to fish with Gary: 2:00 AM, Cal and I head out from the Bay Area to meet up with Gary. Fueled by nothing but bad coffee and donuts, which happen to be Gary�s favorite food, we mentally prepared ourselves for the day. 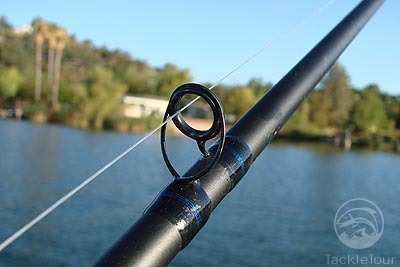 We knew we wouldn�t be able to outfish Gary, but we sure could give him a hard time while he was spanking us.